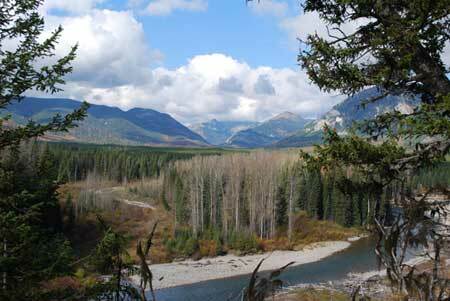 Fernie Rod and Gun Club's information page on the Flathead Valley and why we DO NOT need or want a National Park in the Flathead Valley. Research has demonstrated the Flathead Valley to be home to the highest density of Grizzlies anywhere in the interior of North America. The numbers are even greater than the adjacent area of US Glacier National Park. This high population is significant because hunting is allowed in only this area. Why are National Parks a 'Death Zone' for Grizzly Bears? The following is an excerpt from a paper on habituation by Dr. Valerius Geist, PhD, Professional Biologist( Alberta)/ Professor Emeritus of Environmental Science, University of Calgary. Predators: How to Eliminate Bears from National Parks with Photography. It is the conventional wisdom that bears are attracted to human food and, consequently, to be safe, one must distance oneself from potential bear food. Also, making bears aware of one's presence, avoiding surprise meetings is the safe way to go. While these conventional wisdom's are valid, they are by themselves insufficient to understand bear behavior. They imply that as long as one views or even photographs a bear that ignores humans, all is well. NOT SO! This generates a false sense of security, which translates into innocent brazenness about bears and which, ironically, protects the visitor- temporarily- from attacks. The problem with the conventional wisdom's is that they lead people innocently into habituating beasrs, which in turn brands them as "problem bears" which National Parks must remove to insure visitor safety. Consequently, Lake Louise and Banff are the primary grizzly killing spots of the continent(Nielsen, et al, 2004; black bears are also rare in the parks. As matters now stand, natioanl parks can turn, inadvertently, into "black holes" for bears. Consider the following scenario: a young wilderness bear walking into a national park is subjected to photography by laymen and proffesionals. We expect the bear, initially, to flee all advances by people. Then driven by hunger and feeding in a nice patch of young and digestible horsetails, or in an alpine meadow, or on an avalanche slope, it initially resists running from enroaching humans, but runs off in the end. As more contacts follow it begins to tolerate humans. It grows "tame" becoming a magnet for photograhers and film crews, let alone tourists with camera and camcorders. Our bear is now habituated, but still avoids brazen approaches, as in bear society only the dominants are brazen. The habituated bear is in a state of unconsummated interest in humans and one day it will consummate that interest- at its choosing! Every habituated animal will go throuigh that exploration stage, UNLESS NEGATIVELY CONDITIONED. Such a habituated bear can be expected to begin de-habituation by exploring campgrounds, parking lots, road kills- and defend the latter. It is now branded a "nuisance bear", and even if it has not yet "explored" a human physically, its fate is sealed. The casue of its demise: ceaseless attention by curious tourists and photographers bent on getting pictures. And these are the well-behaved visitors. Then there are those who tease wildlife, who throw rocks, charge, slap or kick bears, let alone aggressive drunks trying to feed escaping bear's potatoe chips and coke! In circumstances when the bear is WELL FED, such as during salmon runs, it may stay merely habituated a long time, and tolerate brazen humans and their provocations. Now, carnivores consummate habituation like any other animal by testing if this strange being is edible. And that always means an attack! Testing carnivores attack suddenly, unpredictably! Sometimes they stop and threaten. Bears swat the ground with their paws. Sometimes a lucky bear gets a -lifesaving-dosage of pepper-spray into its face and runs off, never to try testing again. Sometimes they are truly frightened by an aggressive human and sense that it's best to run. That might stop them from trying to consummate curiosity for some time. Unfortunately, bears do have cyclical metabolic demands and bears change behavior with such demands. A bear in April is not the same as in September. Fattening is then upon them, and so is hyperphagia! Bears need to fatten up for hibernation so they become super-hungry, and earlier constraints weaken-if there is not enough food about. A well-fed bear is usually not a danger, but a hungry one is! Late August, September and October are the months of very hungry bears. Blessed the land that is full of spawning salmon, rich crops of berries, well fattened caibou or moose or dead whales on the beaches or whatever! And woe to bears when commercial fishing reduces salmon runs to a trickle, for desperately hungry bears will seek out human habitation, act dangerously and be killed. We have had such in Brisitsh Columbia. Canadian federal salmon quotas do not include an allocation for bears! One can be lured into false security when being close to habituated bears that are on full feed and show great tolerance towards humans, because the same bear under condition of seasonla hypephagia may respond with a predatory attack. And habituation is the essential prelude to such. It is fortunate that bears appear to have a very high threshold to approaching humans and prefer to stay their distance- unless we disrupt such with constant approaches to satisfy curiosity or photograph the bear. If it loses its wildness, it propably won't survive. 'Habituated' bears or bears that have lost their natural fear of humans-almost inevitably become "problem" bears. They actively seek out places where people congregate because they have learned that where there are people there is also food and garbage to eat. Over time they become increasingly more aggressive in their search for an easy meal. Problem bears usually end up having to be removed or destroyed because of the threat they pose to public safety. It is very difficult, and often impossible to undo habituation. The only real solution is prevention. 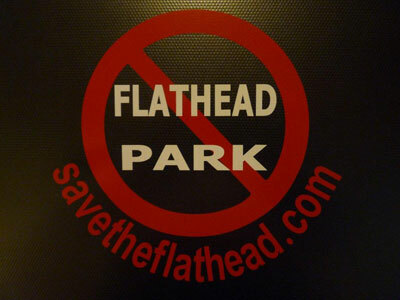 Who do we want to manage the wildlife in the Flathead Valley? Right now in the Flathead Valley, the grizzly bear population is healthy and increasing. The Elk, Deer and Moose populations are increasing and are very healthy. Wolves were reintroduced back in the 1980's and are currently doing very well with a large population. What you CAN and CAN"T do in a National Park and what are the fees? EXTRA FEES FOR: fishing, camping, day use, fire permit, dump station, backcountry use and any other related fees! The following link is a list of fees for the Banff National Park, is this what we need in the Flathead? Are you prepared to pay all these fees? What do we want in the Flathead Valley?